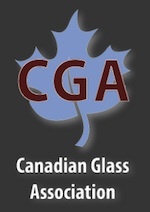 The Canadian Glass Association has recently selected Centric Management and Consulting to serve as their new association management company. The Canadian Glass Association provides support to glass and related industries at the national level in matters of building codes, standards and legislation. PPG Industries has announced that it has reached a definitive agreement to acquire Consorcio Comex, S.A. de C.V., an architectural and industrial coatings company with headquarters in Mexico City, Mexico. The transaction is valued at $2.3 billion and is subject to regulatory approvals and customary closing conditions. 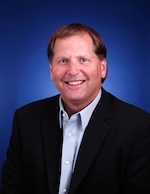 Guardian Industries has named Rick Zoulek Vice President of Flat Glass for the Americas. Zoulek will oversee all aspects of Guardian’s North and South American flat glass business and position the company for continued long-term profitable growth. Zoulek was most recently vice president of Flat Glass for North America. The IGMA Summer Technical Conference is in only a few weeks, and the hotel cutoff to guarantee our lower room rates has been extended to Friday. There will be no further extensions, so register now to save. The conference will be held August 5-8th at the Hilton Quebec in historic Quebec City.